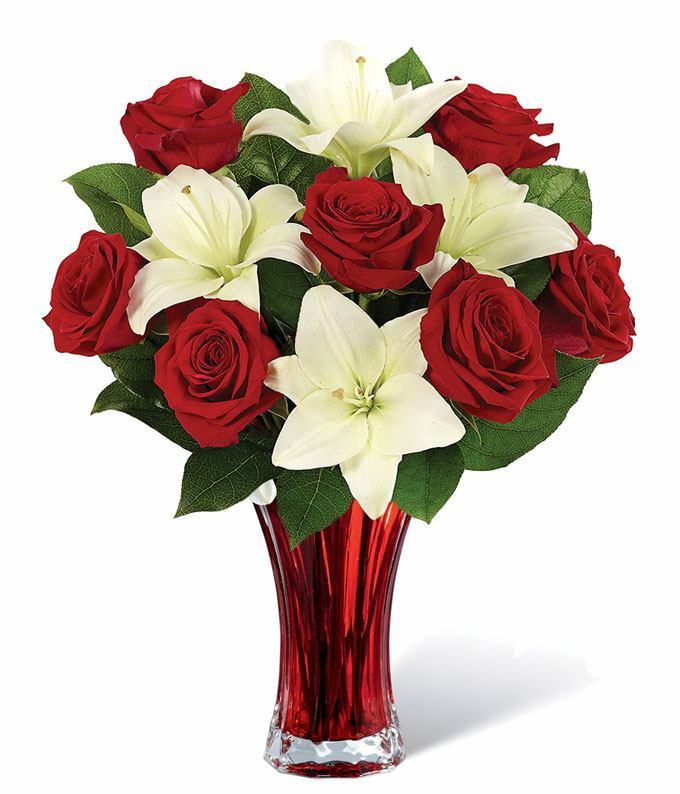 Send your love an exquisite white lily and red rose flower arrangement this year! This bouquet is a play on the classic all red rose bouquet. By adding white lilies, the arrangement because stunning. Delivered in a keepsake red vase with a card message written by you, she will melt with your show of love.